Most trains will leave one city around 20:00, although some will leave 30–40 before. All trains will arrive at their final destinations between 07:00 and 07:30 the next day. Services will run daily but there will be one day when these services will stop (maintenance must be completed then). 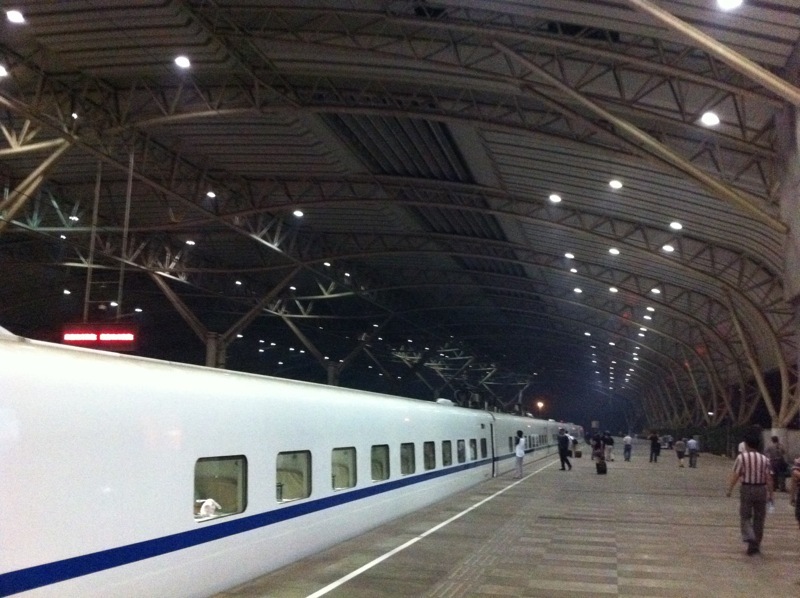 These are Wednesdays for Shanghai–Guangzhou and Shanghai–Shenzhen trains, and Thursdays for Beijing–Guangzhou and Beijing–Shenzhen trains. Both regular Second Class seats and Soft Sleeper beds will be offered. On selected trains, a two-bunk Deluxe / Luxury Sleeper is also available. These trains will enter operation today and remain in service through to 15 March 2015.